Two alien dragon shifters. Two vampires. A whole new world. And I’m in the middle of it all. One minute I’m a nineteen year-old woman trying to get through life and the next second I’m in space, charged with saving the human race on an alien planet. Four men show up vowing to love and protect me ... except they aren’t men at all, they're alien dragon shifters and vampires. They say we’re mates. I say they’re crazy. I’m charged with a mission: have their baby. Um, how about no. They say it’s destiny. I say I’m a long way from home! 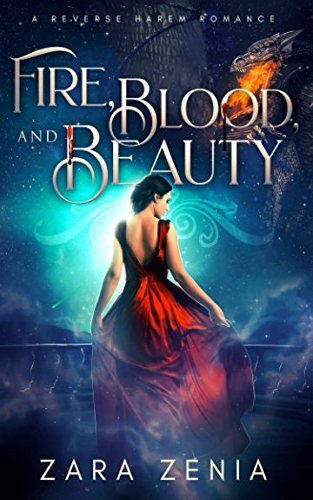 Fire, Blood, and Beauty is a full length, reverse harem romance with passion and suspense, including elements from paranormal, sci-fi, and fantasy. There is no cliffhanger and a guaranteed happy ending!